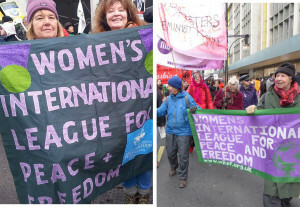 On our membership database we hold the following information, as supplied by members themselves: First Name, Surname, Address, Phone Number, Email address, Local Branch, Type of Membership, Subscription/Donation Information (Payment method, date paid, amount paid) Date of joining WILPF UK. We hold this information to send out Annual Reports, Newsletters, Information on our events, Nomination and Voting papers, and to record the subscriptions and donations paid. Under the legislation we have a legal right to hold this information because we have a legitimate interest to do so. The information is updated when updates are supplied by members. WILPF UK does not supply the information to any person or organisation outside of WILPF UK. If a member resigns from WILPF UK, the information will be deleted within one month of the notification.